A new study appeared in the journal Nature on Wednesday, directly refuting the claim that satellite data shows global warming has leveled off, a claim made by Environmental Protection Agency Administrator Scott Pruitt earlier this year.“Satellite temperature measurements do not support the recent claim of a “leveling off of warming” over the past two decades,” the study says. The researchers were upfront about why they ran the study, calling out Pruitt by name. “Mr. 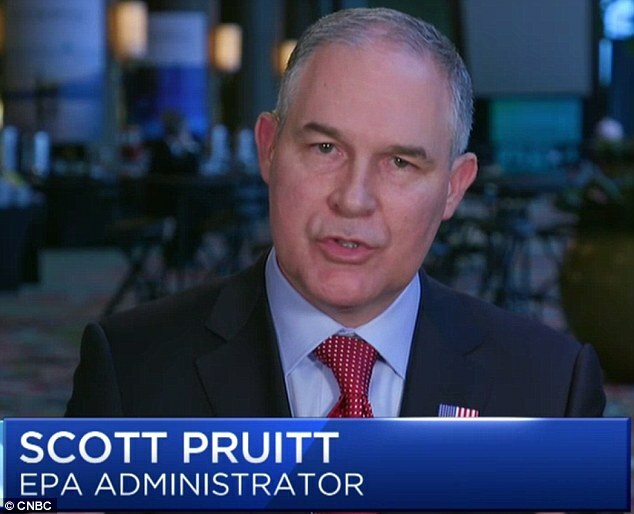 Pruitt claimed that ‘over the past two decades satellite data indicates there has been a leveling off of warming.’ We test this claim here,” the researchers write. The study was authored by Benjamin Santer, an atmospheric scientist at the Lawrence Livermore National Laboratory, and three Livermore colleagues, as well as three scientists from the Massachusetts Institute of Technology, the University of Washington in Seattle, and Remote Sensing Systems, a scientific research company.